Our Certificates are printed in the USA on 100# Gloss Cover Stock. 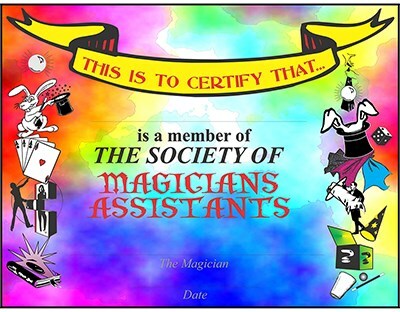 Included with your Certificate is a plastic wand to make it easy to roll your certificate into a wand for presentation to your Little Assistant. Brighten the day of the Birthday Boy or Girl with this Professional Frame-able certificate.